Operating as a cloud service linked to mobile apps used by workers onsite, the solution provides FSH with real time operational information for improving efficiency, productivity and service. Operationally JobWatch is used from job start to completion with tradesmen receiving jobs scheduled by BigChange. 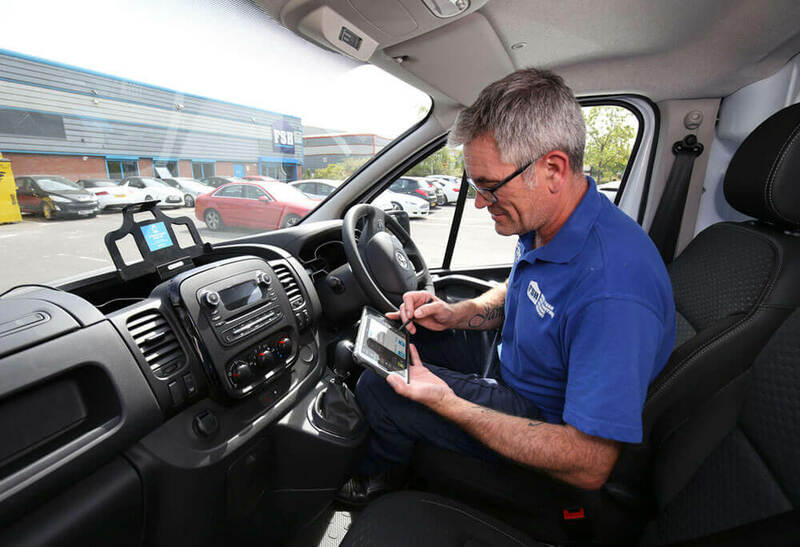 The devices are used for daily vehicle checks and on departure the tablets are clipped in dashboard cradles to provide navigation to the job location. On arrival, JobWatch ensures the tradesman completes a risk assessment and captures photographs showing the current state of the work site – with photographs repeated at the end of the day. With the entire fleet tracked, FSH has an instant view of all vehicle locations. 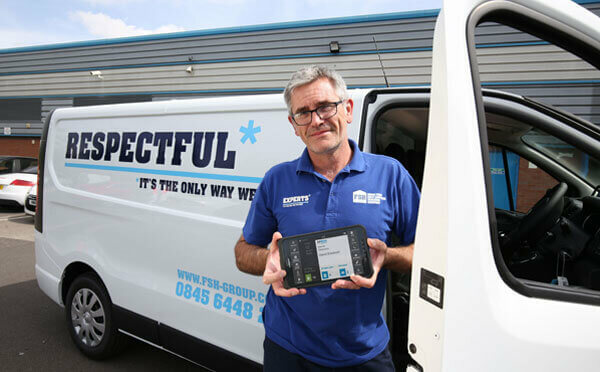 This allows tradesmen working on reactive maintenance to be dynamically re-scheduled to urgent jobs, gives customer services valuable insight into any delays arriving onsite and also helps in the quick retrieval of stolen vans. However according to FSH, it’s the logged data that is of particular value.